Do you have a good idea of what your personal style is? That is the style elements that suit your personality, and your appearance (your shape and your coloring)? 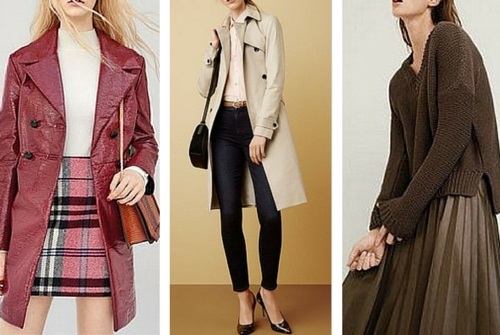 If you do have that self-knowledge updating your wardrobe for this fall winter fashion season will be easy for you, since the dominant trend continues to be the great range of variety in styles and colors. The online fashion magazine Style.com comments on the big range of choices. However it does manage to categorize runway styles into 6 personality styles (I call these themes). 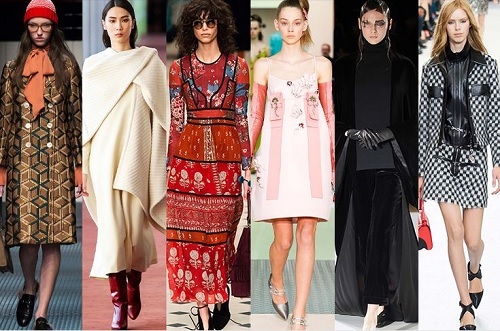 To paraphrase these are: creative; minimilist; 70s bohemian; girlie-feminine; Goth/Victoriana/rock-n-roll; and 60s Mod. You can learn more about these themes here. So, how do you update your look and keep yourself contemporary with such a range of choices? You might be saying to yourself: "Surely if anything goes I can keep on wearing clothes from the previous decades anyway I choose?" However, inspite of the choices I believe there are outfit styling trends (such as tucked, untucked or partially tucked) and ways of combining colors (such as tone-on-tone) and textures that make outfits feel contemporary, or dated and frumpy. 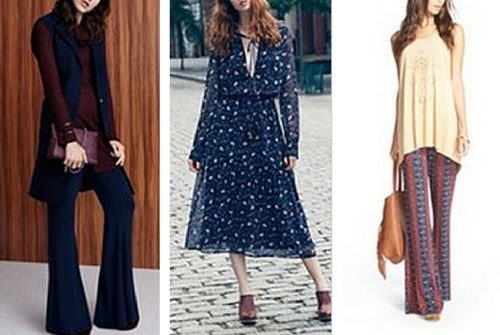 Also, contemporary fabrics use modern technologies to create today's fabrics and knits, making a 70s-inspired style today quite different to a vintage item from the actual 70s. And of course there's no need to style your whole outfit from one theme, which can feel too costumey, as if you were indeed channelling a previous decade. 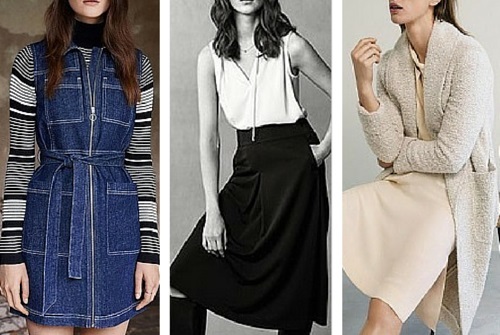 The trick is to pay attention to these styling trends and adopt the ones that work for you. "Your style makeover may require a few tweaks or a total re-think. Using a mix of science and art I show you how to discover your style and look great every day. Hi, I'm Jane Liddelow, the Personal Image Consultant and Stylist responsible for this site. Find out more about me here." Copyright© 2007-2019 style-makeover-hq.com by Jane Liddelow. All rights reserved.